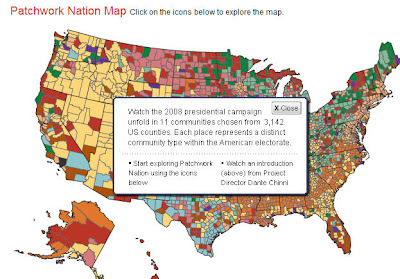 Are you into historical maps? If so check out this sampling of the collection available for sale in the Amerisurv.com Map Store… enjoy! I’m constantly blown away by the amazing Geo Tech talent that we have coming out of Canada… today we have details of another cool webmap service coming from North of 49 – enter MapSherpa (from DM Solutions Group, Ottawa). 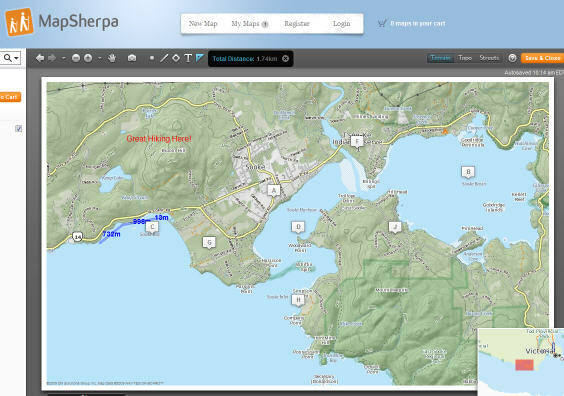 MapSherpa is a user friendly we-service enabling users (likely the outdoor enthusiast looking for a map for a hike, bicycle trip, camping trip etc…) to easily and quickly create a map for printing. The user simply selects a location from the search dialog, then sets the desired zoom level, optionally adds text, linear features, points or polygons, then saves to a user account and print as a PDF. Several map types can be created using the Terrain, Topo, or Streets option for display. Maps can be saved for printing later or purchased immediately as a downloadable PDF for a nominal cost of $2.99 – Test it for yourself at http://www.mapsherpa.com or see the official announcement here. Indeed a map is worth at least 1,000 words in my mind.. I wish the mainstream media would realize this. The only reason I bring this up is because today I’m browsing through the local paper (The Colloradoan) which serves the Fort Collins area. Within the paper I see a story titled “Windsor Map shows future trails”. The article rambles on about a new map the Town has created, then meanders off into discussing future proposed crossings etc… so what about the map?? Unfortunately there was no picture of a map with the article, no link to a website where a map could be found etc… pretty strange! 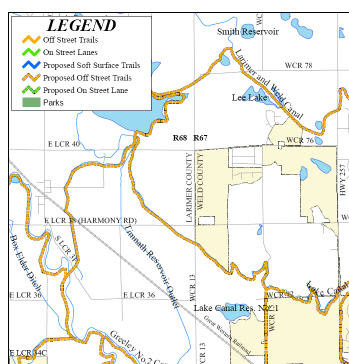 So I investigate for myself and hit the Windsor website where a link is found to trail map – there I find a lone PDF showing what appears to be trails along with the proposed trails. I can’t help to think how much more useful the article in the paper would have been by simply posting the actual map or a link and forget about all the blabber. Hopefully by the time the trails are done the maps provided online by the Town may be more informative, perhaps at the minimum served up as Geo PDFs, heck, even a Google map that provides more information, perhaps some multi-media or ?? The town does have a GIS and a GIS Dept. so seeing some form of webmapping should be expected shouldn’t it? A tip for you small towns, see also some of the tools offered up by Avenza Systems , TerraGo Technologies, or Alta4 to help bring your webmaps alive or at a minimum give them a pulse! Windsor trail map PDF… yawn! Imagine how much more effective a map with imagery as a base layer would make this. Much more is expected of local government agencies in my mind, particularly given the fine, low cost tools that are available.